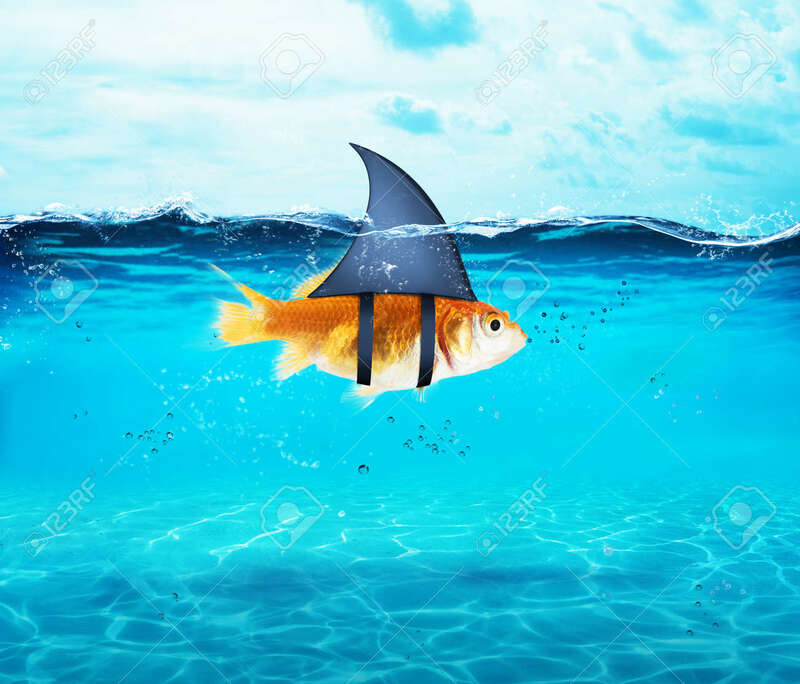 Goldfish Acting As Shark To Terrorize The Enemies. Concept Of.. Stock Photo, Picture And Royalty Free Image. Image 81480973.